Goodreads says, "One summer will challenge everything the Garrett sisters thought they knew about themselves—and each other. Kat lands the lead in the community theater’s summer play, but the drama spills offstage when her ex and his new girlfriend are cast too. Can she get revenge by staging a new romance of her own? Bea and her boyfriend are heading off to college together in the fall, just like they planned when they started dating. But Bea isn’t sure she wants the same things as when she was thirteen… Vi has a crush on the girl next door. It makes her happy and nervous, but Cece has a boyfriend…so it’s not like her feelings could ever be reciprocated, right? As the oldest, Des shoulders a lot of responsibility for her family and their independent bookstore. Except it’s hard to dream big when she’s so busy taking care of everyone else." The Garrett sisters live in Remington Hollow, Maryland, a small, quiet coastal town reminiscent of Gilmore Girls' Stars Hollow. There are four Garrett sisters. First there's Des, the oldest, who feels a lot of pressure to help out her grandmother, who has fallen ill and is the sole caretaker of the girls, and she also feels a responsibility towards her younger siblings. Then there's Bea, who just graduated high school and is trying to figure it all out. She is questioning things and asking herself what she really wants. Next up is Kat, who is all about the community's theater program, but things don't go as planned when her ex-boyfriend is casted in the play as well. Lastly, there's Vi, who is a lesbian and has strong feelings for someone, but will they like her back? Can she put herself out there? 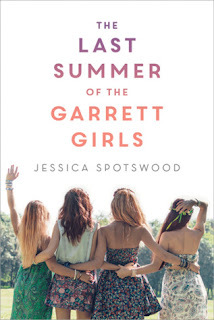 The Last Summer of the Garrett Girls has something for every YA reader and it makes for a heartwarming beach read. All four Garrett girls are memorable in their own right, but I found myself very interested in Des, the oldest. Her struggle between helping her family and doing what she wants is something that many people can relate to. I also really liked how the author switched the points of view between each girl so we could get to know them individually. 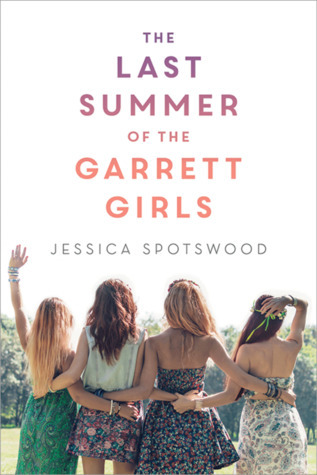 I also really liked the chapters in The Last Summer of the Garrett Girls that focused on Vi and I think it's good that Spotswood included a gay character that wasn't just a caricature. I also appreciated Vi's love of YA books as well as her references to books. Bookworms will absolutely love this! 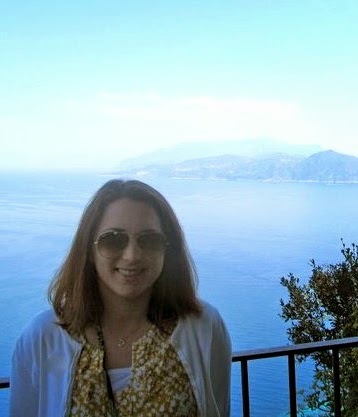 I found myself nodding my head a lot when she would talk books; I would so want to be friends with her! The setting of The Last Summer of the Garrett Girls was so darn cute. It was very Stars Hollow and I love that! Everyone in town knows everyone else's stories and the fact that it's on the coast added to the town's charm. Also, the Garrett family owns an independent bookstore that Des helps run and this was just a cherry on top of the sundae for me. This was a quiet sort of summertime read and one that I think many YA female readers will appreciate this book the most, especially the bookish sort. Plus, The Last Summer of the Garrett Girls has a feminist vibe to it, which I also found to be delightful. We need more of that in YA literature and less damsel in distress type of females. 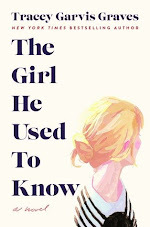 So, if you are looking for coming of age/feel good story this summer, add this one to your TBR list.